The iconic Hog’s Breath Cafe in Coolangatta is closing down… Check out what’s up for grabs! It all started in Airlie Beach, North Queensland in 1989… The first Hog’s Breath Café opened its doors on what was a journey to becoming one of the most iconic restaurant names in Australasia. But sadly, the doors are closing on one of these famous steakhouses that has taken up residence on Coolangatta’s main street for more than 10 years. Having been sent into liquidation, the big-name restaurant has chosen to sell their hospitality and kitchen stock through us here at Lloyds Auctions. Hog’s Breath in Coolangatta was the perfect location to relax and enjoy the famed “Hogspitality”. With spectacular beaches and famous surf breaks, Coolangatta is a favourite retreat for families and surfers, and Hog’s Breath catered to them all. What can I buy for my home? This is your chance to pick up a piece of Coolangatta history. If this was your favourite family restaurant then you can carry on the celebrations and family occasions around the same table, but now in your home! 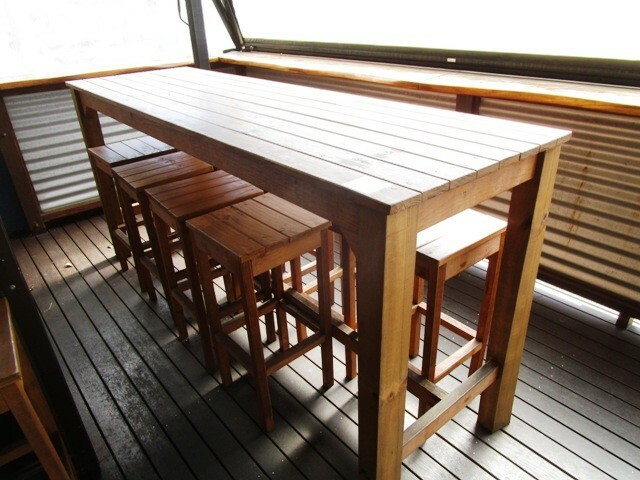 Quality timber top tables, chairs and bar stools can take pride of place in your home with a great story behind them. Not only are they functional but if they could talk, they would be able to tell some tales! Not only is the well-loved furniture up for grabs but so is the distinctive décor that made the Hog’s Breath dining experience unmistakable. The adored Corona bottle salt and pepper shakers are up for auction alongside memorabilia that would make an unbelievable addition to any man cave across the country. 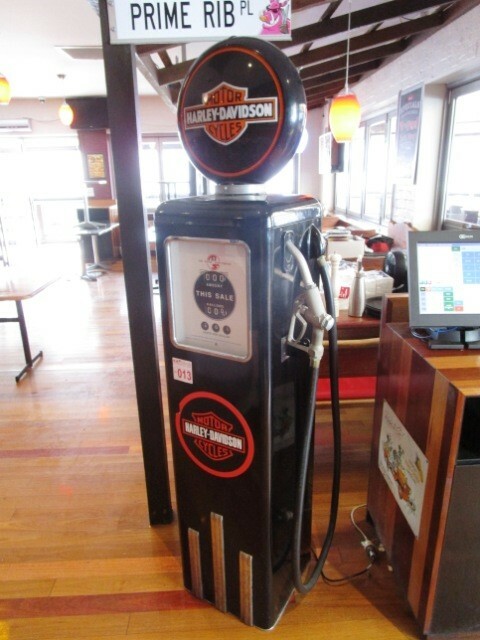 The life-size replica ‘Harley Davidson Motorcycles’ gas pump has been grabbing some serious attention online already. It is completely UNRESERVED, so it is a fantastic chance for a bargain talking point! What can I buy for my business? This is the perfect opportunity to snag some kitchen, catering and hospitality gear for a small start-up or existing business. Whether it’s a food truck, a café or a busy restaurant, there is something here that would suit any kitchen. Everything, from plates and cutlery through to commercial microwaves, salamanders and deep fryers, are ready for a new home! Nothing has been missed, even the décor, TVs, fans, CCTV and POS systems are going under the hammer and could be a great help to starting up a business of any kind! 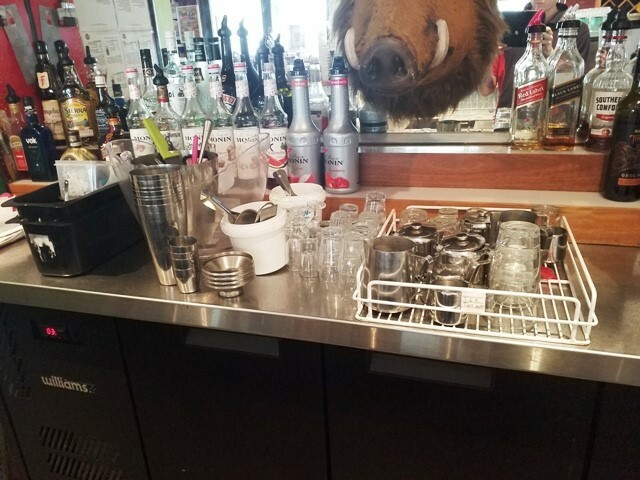 The Hog’s Breath Café Closure goes under the hammer on Tuesday 16th of April 2019 at 6:30pm. An opportunity like this doesn’t come around often so it’s best to act now! Lloyds Auctions has been entrusted with this gear as we have years of experience in the hospitality and catering industries. We have worked with food service establishments from all over the country with well known names such as Hog’s Breath and high-end restaurants such as Jo Jo’s in Brisbane. With a successful weekly Hospitality and Commercial Catering auction, we have the interest and demand for more quality gear! Have you got any commercial catering or hospitality gear you are looking to sell? We can make it easy as pie for you! Simply call us on 07 5559 1999 or email us at info@lloydsauction.com.au to get started!